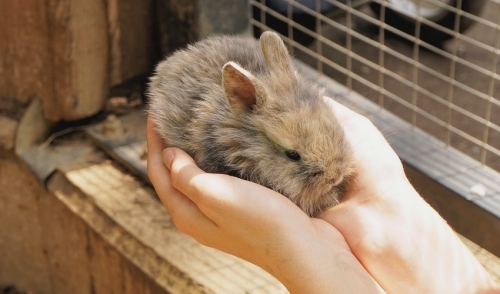 Share "Treating Rabbits For Fleas"
The treatment that you should always try first is a flea comb. Sometimes this is all it takes to get the fleas off your rabbit plus it doesn’t involve chemicals which is always good. If your problem has become too severe for a flea comb to work, a few flea treatment medicines that can work on rabbits in small doses are Advantage, Program, and Revolution. Make sure that the medicine and dose you use is recommended by your veterinarian. Also, when you apply it, the medicine should be placed in the center of the rabbit’s neck so he cannot groom it off himself. If the rabbit ingests the medicine it could be bad for its health. While some medicines may work, others may be fatal. Never use Frontline on your rabbit. That medicine is meant only for cats and dogs and is clearly labeled that it is not meant for rabbits. You also should not use flea collars, powders or shampoos because they will most likely be too strong. Also, you should not try to bathe your rabbit, even without shampoo, because it can often put it into shock. Remember, prevention is always the best method to keep the fleas away. Regular grooming usually does the trick.